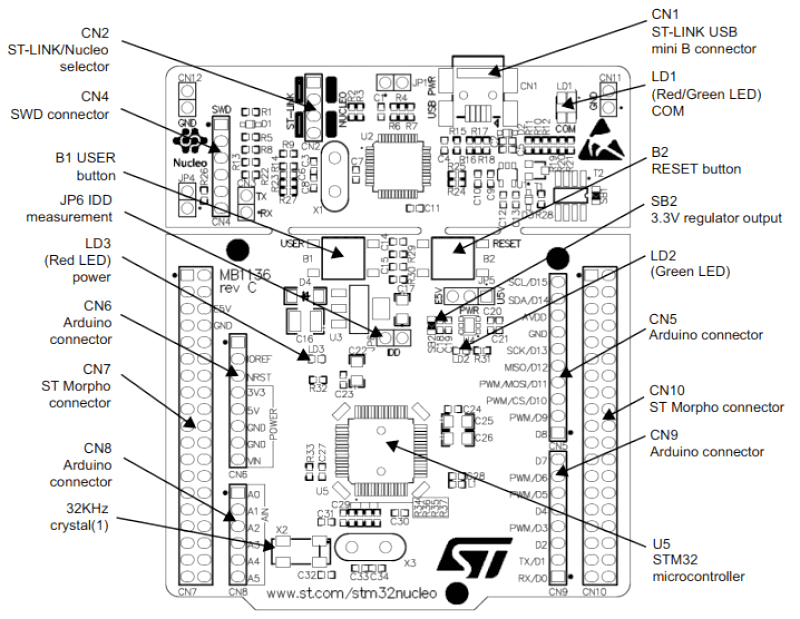 STM32 Nucleo-64 development board with STM32F334R8 MCU, supports Arduino and ST morpho connectivity. 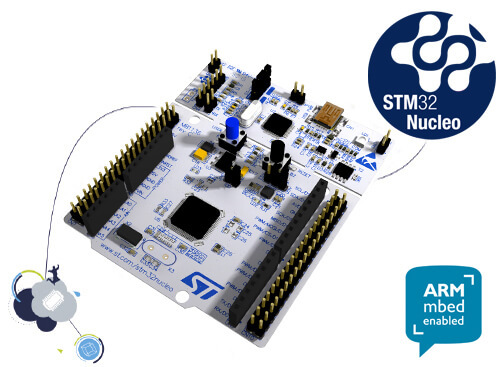 The STM32 Nucleo board provides an affordable and flexible way for users to try out new concepts, and build prototypes with the STM32 microcontroller, choosing from the various combinations of performance, power consumption and features. The Arduino* Uno V3 connectivity support and the ST morpho headers allow easy functionality expansion of the STM32 Nucleo open development platform with a wide choice of specialized shields. The STM32 Nucleo board comes with the STM32 comprehensive software HAL library together with various packaged software examples. More information about the board can be found at the Nucleo F334R8 website . Other hardware features are not yet supported in this Zephyr port. Each of the GPIO pins can be configured by software as output (push-pull or open-drain), as input (with or without pull-up or pull-down), or as peripheral alternate function. Most of the GPIO pins are shared with digital or analog alternate functions. All GPIOs are high current capable except for analog inputs. For mode details please refer to STM32 Nucleo-64 board User Manual . Applications for the nucleo_f334r8 board configuration can be built and flashed in the usual way (see Build an Application and Run an Application for more details). Nucleo F334R8 board includes an ST-LINK/V2-1 embedded debug tool interface. This interface is supported by the openocd version included in Zephyr SDK. Connect the Nucleo F334R8 to your host computer using the USB port, then build and flash an application. Here is an example for the Blinky Application application. You will see the LED blinking every second. You can debug an application in the usual way. Here is an example for the Blinky Application application. # If you already made a build directory (build) and ran cmake, just 'cd build' instead.